Whether you're shredding the trails, grinding the gravel, pounding the pavement, a full-time racer, a casual club rider, or just ride for the pure enjoyment of it, you demand quality, and performance from your bike and its components. FSA has a long history in the sport of cycling and is a leader of innovation in design and manufacturing. The Omega BB-4000 Mega-Exo Bottom Bracket features oversized cartridge bearings, forged steel and CNC machined external cups for a smooth drive, and increased durability. 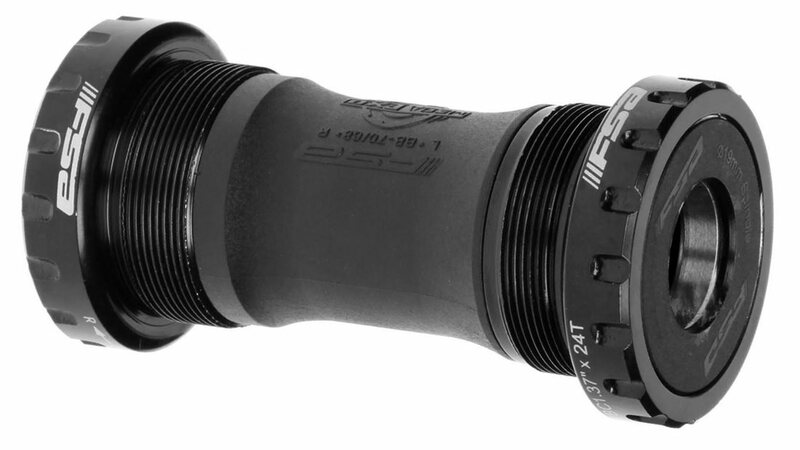 This bottom bracket is compatible with FSA Omega Mega-Exo crankset.